What a Day! Oh what a Turnout! What a Success!!! WOW’s second Swinging Skirts Golf Tournament held on September 7th was a resounding SOLD OUT event. Nk’Mip Desert Canyon Golf Course, Investor’s Group and WOW once again co-sponsored this fun event. 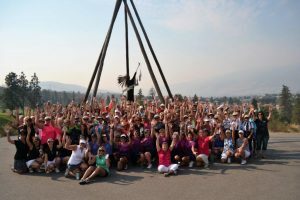 With 120 ladies participating, there were activities on almost every hole, from marshmallow hits, hitting a ball into a water target, plinko, putting and more. It was noted one golfer was from Nova Scotia and another one from Vancouver. That is phenomenal! All lady golfers each received a goody bag and a door prize. A free massage was available with the event ending with a delicious meal. Prizes were also handed out for golfing skills such as longest putt, longest drive, closest to the pin on second shot, etc. There were also two Hole-In-One prizes offered. Team skill prizes for low gross and low net were awarded in several handicap groupings and there were low gross prizes for a non-handicap group. Thank you to the community for all your support and donations to help make this tournament a success. This tournament was a charity event with WOW being the recipient of funds raised. Funds will go to WOW’s donation projects. We are all looking forward to the third annual golf tournament next year. This year WOW sponsored the Oliver’s Got Talent Show at the Roots and Fruits Festival held on Saturday, August 18th. 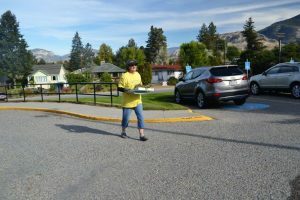 The funds were used for food, refreshments as well as Thank You gifts for the performers. Some of the members were able to attend the Thank you lunch at a later date. 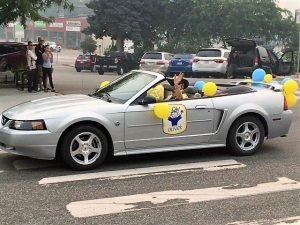 The ladies of WOW were once again promoting their group in the Sunshine Parade held in Oliver on Saturday, August 18, 2018. To enrich the lives of women and children in our community and beyond. New members are always welcome – meetings occur on the third Tuesday of every month from September to June. 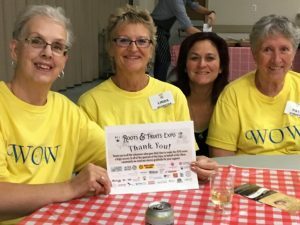 WOW Community services vary from assisting with the Senior’s Anniversary Tea and the Gleaners, sponsoring Dementia Workshops, St. John’s CPR courses, as well as caring for the entrance gardens at McKinney Place. We have three main fundraising projects! 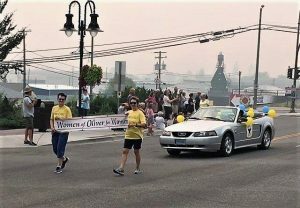 TRADE SHOW: Women of Oliver for Women (WOW) host the annual ‘Mainly for Women’ Trade Show every February at the Oliver Community Centre. Find out more here. SWINGING SKIRTS GOLF TOURNAMENT: Nk’Mip Desert Canyon Golf Course, Investor’s Group and WOW cosponsor this fun event held in September. CHRISTMAS AUCTION: This event is held in early December. Members and invited guests attend a fun-filled evening with a Christmas theme. Our fundraising efforts have allowed us to support many organizations within our community such as the Desert Sun Counselling, Air Cadets, Highway to Healing, Oliver Food Bank, SOSS Bursary, Boys & Girls Club, the playground at Oliver Elementary School, an educational award for women, funds to enable children to attend the Sun Fun Program in the summer, Oliver High School Day Care, Maple Springs Bible Camp, Right to Play, Youth Sports, OK Gleaners, plus many other spontaneous requests. Each year, in February, the Women of Oliver host a ‘Mainly for Women’ trade show at the Oliver Community Centre. If you are interested in finding out more, check out this page for regular updates! Each year we give away an Educational Award for women, who through circumstances, need to return to the workforce and require further education. Find out more, or apply for the award here. Looking for more information about WOW? 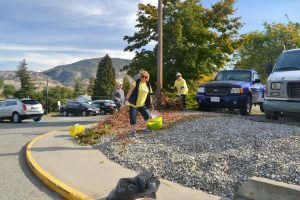 Anyone interested in becoming a member (or just finding out more about us) can contact us at oliverwowsociety@gmail.com, or by calling Nita Neufield at 250-498-7029.